How to Pick a Good Dance Studio? Fall is here. School is back in session. And it’s time to start dancing again! How do you know where to go, which studio to choose? 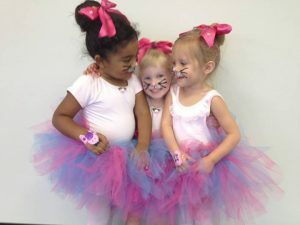 Maybe you are a first time dance parent looking for a fantastic studio or a parent who is looking to make a move to a better fit studio for you and your child(ren). Either way, we have your questions answered. The first things that might pop in your head are location and cost. But there is so much more. 1. Are the teachers knowledgeable about the style of dance they teach? 2. What are the class sizes like? Remember, when looking at the class size, small classes provide children with more one on one time with the teacher, and can create an incredible learning environment. If there are bigger classes, the teacher needs an assistant to be able to provide any corrections the students might need. 3. Do the dances show expression? Can you feel the mood, tone, and the story line of the song by the movements of the dancers? 4. Does the studio have as much of a ding as its dance steps? Is there something special and unique about the dance studio that stands out to you? For example, how Move Dance and Fitness offers a fitness room and programs for any adult, especially the parents of the dancers. 5. Are the teachers and students dressed in the appropriate attire for the style of their dance class? 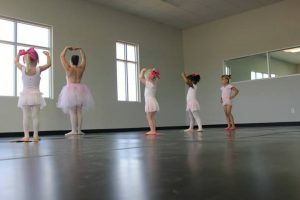 One of the best ways to find out if a dance studio fits with you and your child(ren) is to visit the dance studio, talk to the teachers, the owners, ask questions, and let them know what you need as a parent or guardian. What are other things you take into consideration when looking for a dance studio? Come and dance with us at Move Dance and Fitness!